In recent years Square Events have hosted many showcase events highlighting some of the UK’s best locations and hotels for Masonic Lodge Ladies Weekends. Having held events in Dorset, Warwickshire, Northamptonshire, Kent and Hampshire in the last couple of years we’ve decided this time to go to ESSEX. We will be focussing on Masonic Lodges within the province of Essex promoting Ladies Festivals and Ladies Weekends to Worshipful Masters, Festival Secretaries as well as Junior and Senior Wardens. If you are looking to book a Masonic Ladies Festival in the next few years this will be the event for you. Further details will be emailed to our entire database in the next few weeks so keep an eye out for our e-newsletter that will contain further information. To register early interest please visit www.squareeventsmanagement.com and click on the ‘Contact Us’ page or fill in the form below. After a bit of a rushed journey from the office to the Macdonald Berystede we had a nice refreshing glass of pimms and some amazing canapés consisting of some indulgent mini burgers, interesting chilli popcorn and delightful asparagus wrapped in Parma ham waiting for us on the terrace, along with the lovely Mathew Turvey and Melissa Moore. The hotel looks very historical from the outside with a horse led theme inside due to being so close to the famous Ascot racecourse. The function rooms are beautiful and have some great private bar areas for drinks receptions and versatile spaces to accommodate a gala dinner at a Masonic Ladies Festival. For your leisure time the hotel has the most fabulous spa with numerous treatments on offer, as well as an unusually large swimming pool (for a hotel) with the added bonus of an exit to a small pool outside and a gym. 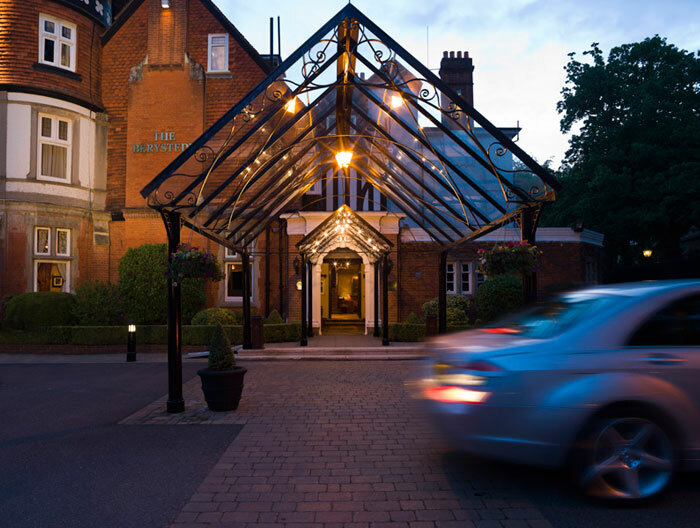 We were then transported to a different era when we arrived at the Macdonald Frimley Hall hotel, with its air of grandeur and the wonderful design of the exterior of the building. It has a selection of different room types all well appointed and decorated nicely. The regal feature rooms add a hint of luxury, with old English style shutters on the windows and glorious giant bathrooms each with a special unique feature. They had arranged a barbeque for us on the lawn outside the hotel, however this was moved in to the cosy private dining room due to it being a bit chilly. The food was fantastic, with seasonal ingredients sourced from the UK where possible, which adds to the dining experience in my opinion. The room that we were in would be perfect for private dining for up to 20 people; however the hotel does have a variety of larger function rooms, which are gorgeous, that would be ideal for a Masonic Gala dinner. We travelled back to the Berystede and had a quick drink before going to bed. The rooms in the Berystede are lovely, with huge showers and baths too. The bed was comfy and the soft furnishings in the room complimented the décor wonderfully. After a good night sleep we all met for breakfast then travelled to the Macdonald Compleat Angler where the view is spectacular, beyond all expectation, with the water around the weir sparkling in the sunshine, it was beautiful. We had a show round of the versatile conference and meeting facilities, which would be great for private dining and conferences and then we saw the hotels well appointed bedrooms. 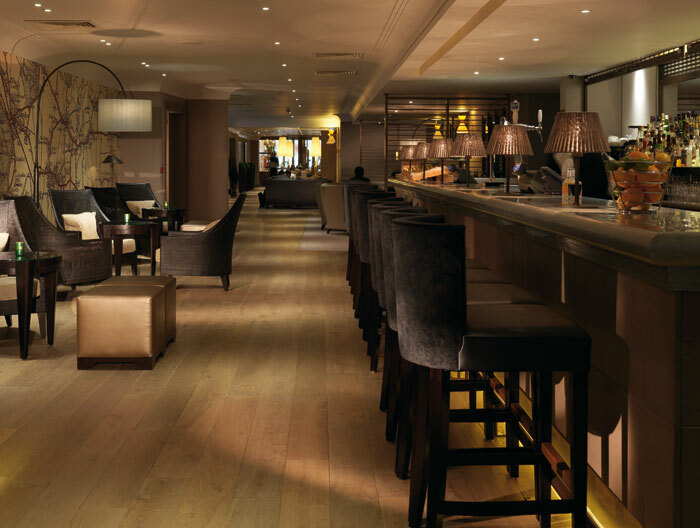 The hotel also has a three AA rosette restaurant called Aubergine which is beautifully designed with a fantastic menu on offer. After we had seen all of the fantastic features that the hotel has to offer we were offered a fabulous array of options to eat for brunch ranging from egg and bacon baps to smoked salmon and kedgeree. We then went to the Macdonald Windsor Hotel where we entered through the quiet back entrance of the hotel, a complete contrast to the hustle and bustle of the street running in front of the hotel. We were shown around the surprisingly large facilities, considering it is in the centre of Windsor and seemed to be just an average sized building wide from the outside. A great location for a Ladies Festival Weekend as there is so much to see and do during your leisure time with it being so close to the magnificent Windsor Castle and a great shopping centre. The bedrooms are all of a high standard, well decorated and modern with all of the amenities that you would expect. All in all a fantastic weekend with lots of lovely food and great company. After travelling for just over an hour and a half we found ourselves at the entrance to the Mercure Windsor Castle Hotel, what a sight, a beautiful traditional building with balconies and large windows. From the front the hotel looked quite large, but once we walked through the door it was even more grand and spacious than expected, kind of like a tardis, with the added benefit of a well appointed car park. We were welcomed warmly at the reception desk when we checked in. In my opinion first impressions are key, so having a smiling face to welcome guests is very important, which the Mercure Windsor Castle Hotel have down to a tee. When we got to our room we were impressed by the finishing touches and soft furnishings that made the room feel homely and comfortable, rather than cold and sterile. So after a little rest and a quick change we went back down to the main part of the hotel where we were met by the lovely Jane Clement and David Hayden and other staff from the hotel for a champagne and canapé reception. The champagne went down a little too well and the canapés were delightful. 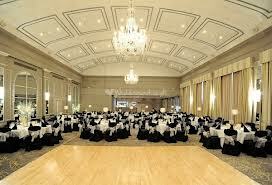 The reception was followed by a show round of the fabulous function rooms that the hotel has to offer. The function space is so varied and versatile that it would be perfect for any type of event, especially private dining for a Masonic Weekend. The Windsor and Georgian Suites are absolutely breathtaking and would be ideal for large functions and big groups. Then we were shown to our private dining suite for the evening, the menu was well selected, and the food was beautifully presented and tasted amazing. The service was impeccable and the staff were so accommodating, there were a few fussy eaters who changed their menu at the last minute, the staff made the changes without any trouble and all of the food arrived at the same time, which is difficult with changes at such short notice especially for a large group. Dietary requirements were noted by the hotel and the menu steered clear of all ingredients that any of the guests were allergic to. We were entertained by a very well thought out quiz during dinner which was both testing and interesting at the same time. The next morning we got ready for a day of excitement. Breakfast certainly set us up for what was to come, it was varied and delicious. We met outside the hotel to watch the Changing of the Guard Procession; I would highly recommend watching this to anyone who visits Windsor. We then walked down to the river to jump on a riverboat taxi to Windsor Racecourse for a fun fuelled day at the races. Sadly I didn’t win, but watching the races and taking a punt on which horse would win made up for that. The food at the racecourse was amazing and the staff manning the bars were so attentive and friendly. When we arrived back at the hotel from the races we needed a rest, so we sat in the lounge and relaxed before having a more informal buffet dinner in the gorgeous Windsor Suite. Again the food was faultless and wonderfully presented. After a good night sleep we had another fantastic full breakfast, did a little bit of shopping in the centre of beautiful Windsor, then checked out to begin our journey back to Bournemouth. Overall it was a fantastic weekend, great food, great company and a very comfortable bed, what more could you ask for? After a long day in the office my colleague and I from Brief2Event and Square Events arrived at Bartley Lodge Hotel. We were greeted by a long, sweeping driveway that perfectly set up the country manor feel of the building itself our check-in was very fast, we were both delighted with the room we were staying in, very clean, modern but still within keeping with the country manor feel. Shortly afterwards we met the lovely Nicki Smith for a drinks reception and a show round. The Baronial Hall is an extremely versatile space and would serve perfectly as a function room for private dining, meetings or conferences. 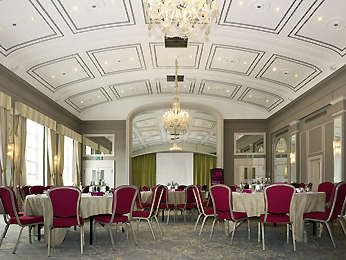 The room benefits from wood panelling and has a very traditional feel, one of the best aspects of this room is the large windows overlooking the gardens with access to the patio, which would be ideal for a drinks reception in the summer evenings or as an area to unwind in during conference breaks. Bartley Lodge Hotel has an ‘old’ part and a ‘new’ part to the hotel. They offer four different categories of bedrooms – Keeper (cosy standard), Agister (standard rooms), Verderer (larger rooms with all amenities) and Crown (executive, some with four poster beds and additional luxuries) The hotel has an indoor swimming pool and sauna for all residents to use. We dined in the Crystal Restaurant in the hotel conservatory and had the opportunity to sample the new menu for the ‘Spring/Summer’ season. The selections were extensive and the food was delicious. The menu would be great for a private dining experience, such as a Masonic Ladies Festival. The hotel had really pulled out all the stops and this was evident with my dessert I had the chocolate brownie which was presented as a New Forest scene with a side of ‘soil and mushrooms’ they had made mini marshmallows and cookies as the mushrooms and soil was crushed up cookies with fennel for grass. It was a great touch and everyone made comments regarding the dessert. The meal was delicious and we were certainly not left hungry! We enjoyed a restful night’s sleep in our well-appointed bedroom and breakfast the next day really set us up for a day’s activities in the New Forest. 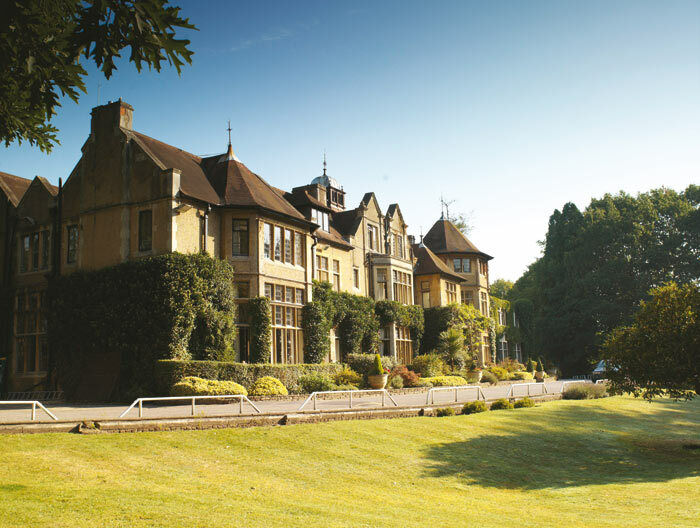 The ‘MAC’nificent charity weekend organisers (Russ and Denise) attended the Square Events familiarisation trip at Hellidon Lakes Golf and Spa Hotel. They loved the venue and thought it would be ideal for the charity weekend that they are organising, to raise money for Macmillan Cancer Support from Friday 20th to Sunday 22nd September 2013. Russ and Craig (brothers in law) take part in the annual Macmillan 4×4 challenge, referred to as the ‘Mac’, partly because they enjoy it so much, but more importantly, because they raise money in aid of Macmillan Cancer Support. Everyone has already been very generous with support for the last 2 years, for which they are extremely grateful and thankful. However the 2014 ‘Mac’ hopes to take the total raised since the event started in 2002 past the £1m mark. They need your help to boost the funds as much as possible, so instead of just asking for sponsorship, a weekend away at a superb hotel in Northamptonshire has been arranged. Everyone is welcome, but demand is high for this indulgent weekend, so reserve your place quickly by contacting Russ Rainger. The weekend will consist of dinner and light-hearted entertainment on Friday night, overnight accommodation and breakfast at your leisure on Saturday morning, with a day to yourself to enjoy the excellent spa and pool facilities at the hotel, explore the local area or play a round of golf on the challenging course. Saturday night will be a black tie event, with Champagne and canapés, a banquet, music for dancing and the all important Charity Draw, overnight stay and another leisurely breakfast. Square Events have been involved in the organisation of this charity event, along with Russ and Denise, due to the expertise that they provide. Square Events have shown their versatility in the respect that this is not the usual type of event that they deal with, but have been involved from the off, as they introduced the organisers to the beautiful venue back in November 2012. 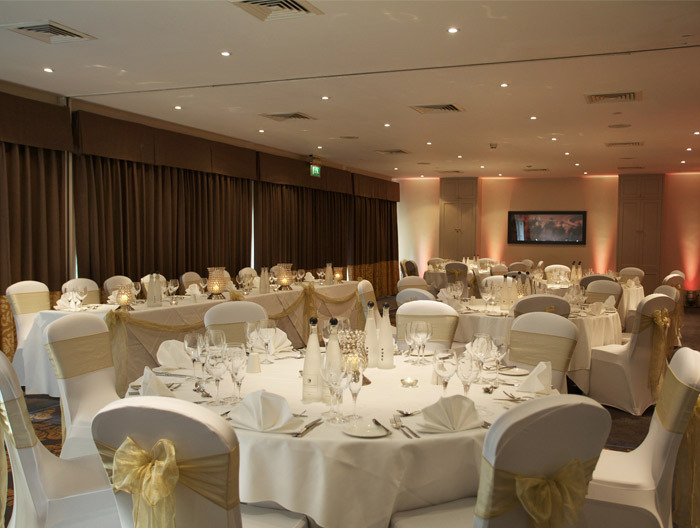 Hellidon Lakes Golf and Spa Hotel offers something for everyone, the hotel has experience of Masonic Events, with great banqueting space for your Gala dinner and fabulous facilities including a spa, pool and a golf course for your leisure time. For more information about organising a Masonic Ladies Festival please contact Matt Devine, Tara or myself at Square Events on 01202 400855. Russ and Denise are hoping for plenty of support from the Masonic community for this event, please contact Russ directly on 01728 688739 for more information or to book on to this indulgent charity weekend event. 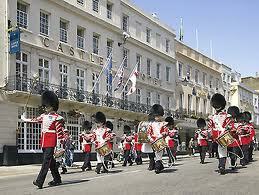 The New Forest has so much to offer, a wide variety of hotels, restaurants and cafés. We had an amazing opportunity to experience some of the many different things that can be done in the New Forest, from relaxing in the hotel bar to being on an exhilarating RIB (Rigid Inflatable Boat) ride. The New Forest is an ideal location for a Masonic Ladies’ festival, although there are a few hotels in the area that are unsuitable due to size and/or price, they are all set in beautiful surroundings and tend to be within a stone’s throw of a golf course. Another great thing about the New Forest is that it is very close to main transport links and just off of the M27. 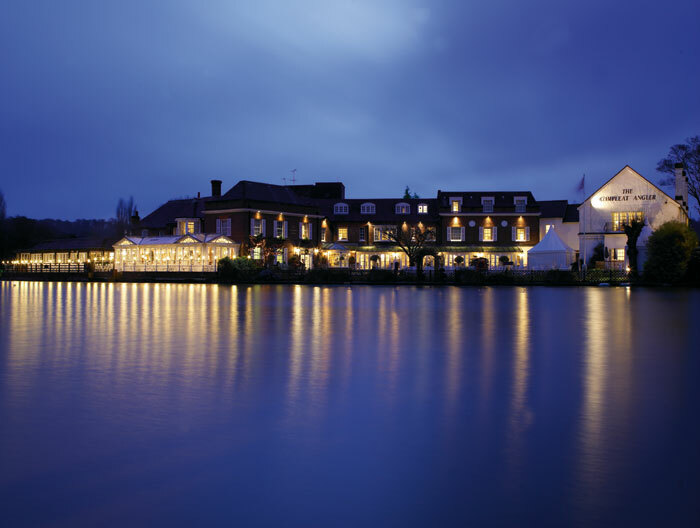 I think that the New Forest is one of the most beautiful places in the UK and with so much to experience it is an ideal location for a leisure break with a combination of relaxation, with a wide variety of spas and treatment facilities and lots of exiting activities. You can also rent a New Forest Twizy to have a different experience of driving around the forest without being worried about emissions, as they run purely on electric. If you are used to driving a big car on the bumpy forest roads, driving a Twizy may be a slightly scary experience. Battlefield live, laser clay, archery and Segway are just a few of the activities that we encountered in one day in the New Forest, imagine the possibilities for a longer stay. Even though I live just 10 minutes away from the New Forest and go there often, there is still much more to experience than the relaxing summer walks looking at the cows, ponies, donkeys and pigs and stopping for an ice-cream and possibly a drink in Burley.